Red frog bungalows offers 1/2 day and full day charters. We provided all of the gear and depending on weather conditions and seasons we will fish for Tuna, Wahoo, King Mackerel, Mackerel, Grouper, Yellowtail snapper and Jacks. Blackfin tuna is the smallest tuna species in the Thunnus genus, generally growing to a maximum of (39in) in length and weighing (4-6 lb). Blackfin have oval shaped bodies, black backs with a slight yellow on the finlets, and have yellow on the sides of their body. Blackfin are only found in the western Atlantic from Cape Cod to Brazil. 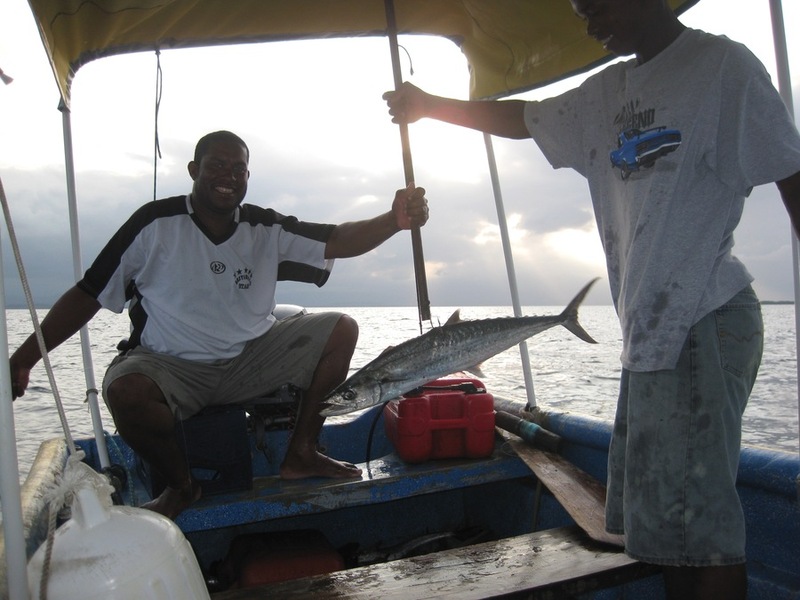 Cero Mackeral are voracious, opportunistic carnivores. As with other members of the genus, food consists mainly of small fishes. 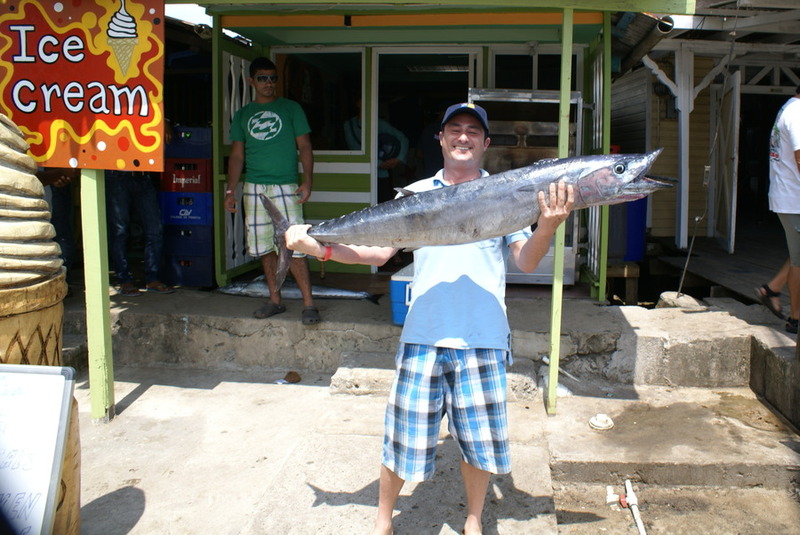 Cero mackerel are a highly valued fish throughout the Caribbean. 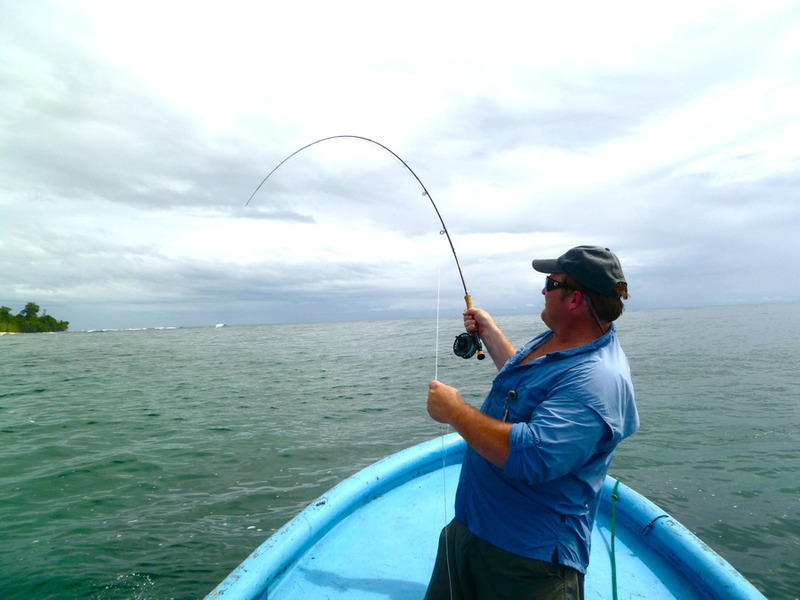 We usually catch these fish on light tackle trolling or using live bait. Fast lure retrieves are key to catching these quick fish. 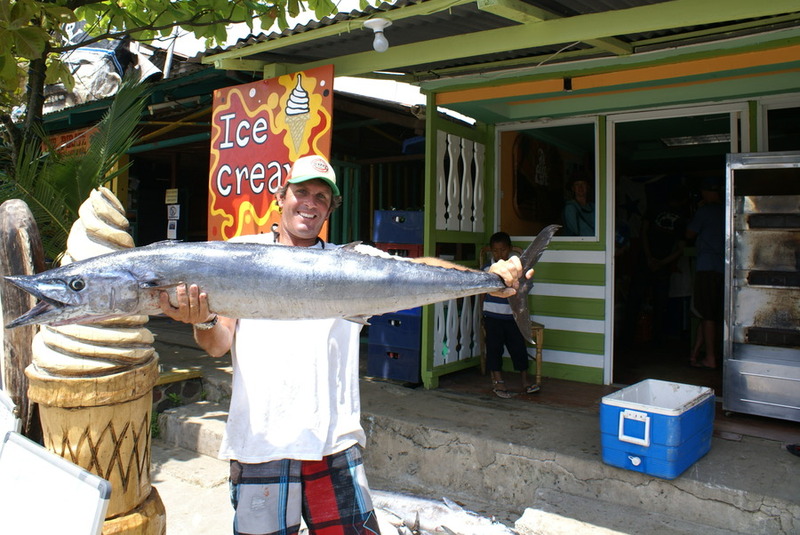 King Mackeral are a medium sized fish, typically encountered from 5 to 30 pounds, but is known to exceed 90 pounds. The entire body is covered with very small, hardly visible, loosely attached scales.Common in the coastal zone from North Carolina to Brazil and it occurs as far south as Rio de Janeiro and occasionally as far north as the Gulf of Maine. Nonetheless, a preference for water temperatures in the range of 68 to 85°F (20 to 29°C). 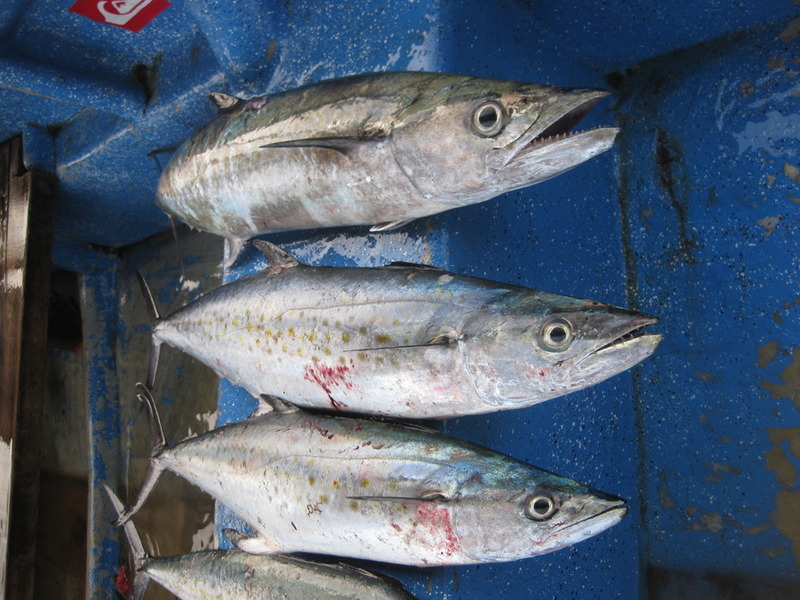 may limit distribution.King mackerel are voracious, opportunistic carnivores. Their prey depends on their size. We typically catch King Mackerel with live bait on various banks. But we have also caught them on Rapalas and feather jigs trolling. Groupers typically having a stout body and a large mouth. They are not built for long-distance fast swimming. They can be quite large, and lengths over a meter and weights up to 100kg are not uncommon, though obviously in such a large group species vary considerably. They swallow prey rather than biting pieces off it. The Jack is a powerful predatory fish, that consumes a variety of small fish. It inhabits the tropical and temperate waters of the Atlantic Basin. In the inshore environment, Crevalle jack inhabit shallow flats, sandy bays, beaches, seagrass and beds, shallow reef complexes and lagoons.